After the breakfast we drive to Hemis the most famous monastery in Ladakh the private monastery of the royal house and built over a period of 40 years (1602-42). Today Hemis is well known for its festival. Later we visit Stok the present residence of the former royal family of Ladakh. Today we drive to Shangsumdo from where we start trekking. 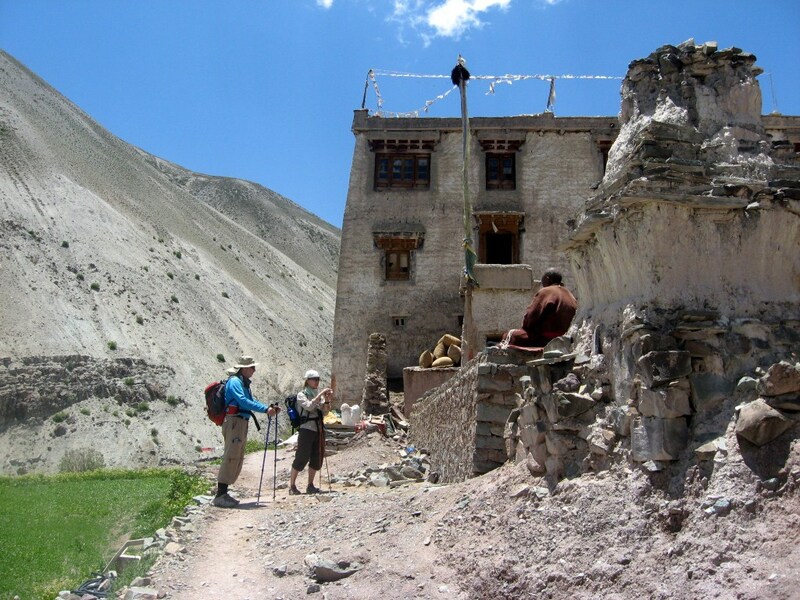 After the breakfast we start our trek with gradually ascend along the Shang stream. On the way we pass Shang village and monastery. We start with gradually ascend up to Shang-la pass 4930 meters. Today from the pass we have glimpse of Stok Kangri 6150 meters. After the breakfast we start towards the Matho-la Pass 4930 meters with gradually accent. Today from the pass we again see Stok Kangri 6150 meters. Today we walk down towards the Stok village where we finished our trek. Morning fly to Delhi (Trip concludes).